This database offers the largest collection of popular full-text magazines (such as Consumer Reports, Time, Sports Illustrated, Wired and many more), reference books and other highly-regarded sources from the world's leading publishers, covering virtually every subject area of general interest. It also includes an extensive image collection containing photos, maps and flags. MasterFILE Complete provides full text for periodicals covering an extensive range of subject areas including business, health, education, fitness, sports and leisure, personal finance, general science, multicultural issues, DIY, fashion and much more. PDF backfiles are available as far back as 1922 for key publications including American Libraries, Foreign Affairs, History Today, Library Journal, National Review, Saturday Evening Post and more. In addition, Science News is available in HTML back to 1975. Where do most readers begin a search? In your catalog! Make sure they discover great reads by enriching your catalog with recommendations and more from NoveList. LibraryAware is an online tool for libraries to connect with readers and keep them engaged. It includes templates and tools to create newsletters, bookmarks, shelf-talkers, flyers, and more for promoting books and resources throughout the library and beyond. 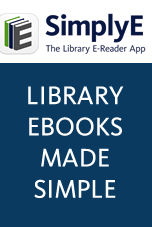 Included in the subscription are NextReads newsletters, Readers/ advisory templates, and other promotional tools for libraries. LearningExpress Library™ provides the most comprehensive selection of academic and career-related resources available in one platform. It provides academic skill building in reading, writing, math, and science, standardized test preparation, soft skills training, job search and career advancement, college admissions test preparation, professional licensing and certification test preparation, high school equivalency test prep, and much more. Finding a job is a complicated process that involves many steps. Job & Career Accelerator is a comprehensive resource with everything your patrons need to find, apply for, and get hired into ideal positions. It delivers award-winning content, skills and interest assessments to match individuals with careers, cutting-edge job search tools, and extensive guidance to help people overcome the challenging task of getting a job. Job & Career Accelerator is the one and only stop your patrons need on their way to successfully joining the workforce or advancing their careers. Available in its own user-friendly interface, Points of View Reference Center provides a balance of materials from all viewpoints with main essays, leading political magazines from all sides of the political spectrum, newspapers, radio and television news transcripts, primary source documents and reference books. The database also offers related images and supplementary research guides for writing position papers, developing arguments and debating. This robust full-text database provides the most relevant information on thousands of authors and their works across literary disciplines and timeframes. It gives students, teachers and librarians a complete foundation of literary reference works to meet any and all of their research or instructional needs. Poetry & Short Story Reference Center contains selected works of major and minor American and English poets, along with international poetry representing each continent (accompanied by English translations, when available). Works include plays and speeches, short stories and classic books, biographies, critical analyses, contextual essays and explications for important works, essays on poetic forms, literary terms, techniques and movements, multimedia (audio and video) of poets reading their works and interviews from reputable sources like the Academy of American Poets, the Poetry Foundation, and MacNeil/Lehrer Productions. The industry's most widely used business research database, this collection features full text and searchable cited references for top journals covering a variety of business disciplines. In addition, it includes market research reports, industry reports, country reports, company profiles and SWOT analyses. As multicultural communities expand, interest in language learning increases. Language programs promote inclusive participation and strengthen community connections. This innovative solution for libraries meets this growing need, helping patrons build a new language foundation with confidence. Rosetta Stone offers libraries and their patrons the proven immersion method that more than 22,000 schools and 12,000 businesses have trusted for over 20 years. The award-winning interactive approach has been used by millions of learners around the world and now is accessible in the library or anywhere, anytime. MyHeritage Library Edition is one of the largest, most internationally diverse genealogy databases of its kind. Libraries that offer MyHeritage Library Edition provide their patrons with access to billions of historical documents, millions of historical photos and other resources in thousands of databases that span the past five centuries. With the Linked Library Service, we transform and publish your library’s data to the Library.Link Network. This helps drive local patrons to your library website even if they start a search using a commercial search engine. Working with Zepheira, we turn your existing MARC records into Bibframe records. Those records are then published to the Library.Link Network, which is a service that exposes library data to search engines -- so that lots of people can discover it. When you participate in the Library.Link network, millions of items and billions of connections are made visible so that search engines can find them and patrons can discover them. This is an additional service that further enriches your library’s linked data. This forthcoming product will use NoveList’s read-alike recommendations, appeal factors, and other reader information -- all of it linking readers directly to your library. Plus, NoveList is planning to make it possible for libraries to create custom content in LibraryAware (think book lists!) that will be part of the enrichment as well. If you are one of the early subscribers to the Linked Library Service, you’ll be first in line to add this future enrichment option. We expect it to be ready in mid-2016. Creating content, managing menus and building your website in Stacks is super easy. No technical ability required. You’ll never have to use code to get your content where you want it again. With the Full Stack, patrons can browse the catalog, read digital content online, place holds, cancel holds, check fees and fines, review items out, renew items out, view and register for events and programs, find and map locations, retrieve call numbers, access databases, explore the library and more.